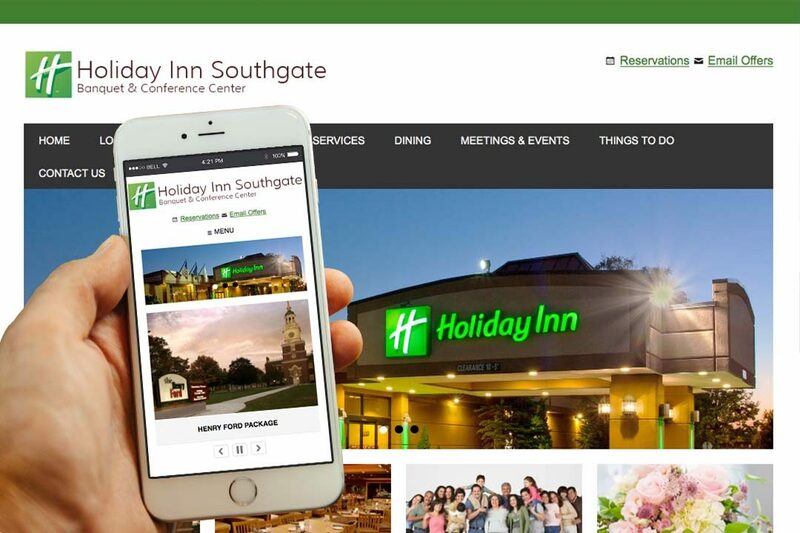 Holiday Inn Southgate • IX Publishing, Inc. The Holiday Inn Southgate Banquet and Conference Center is located conveniently close to the highway, fifteen minutes from downtown Detroit and the Detroit Metro Airport, providing easy access to shopping and regional attractions. They strive to anticipate and surpass their guests’ expectations with their award-winning service and comfortable accommodations. There’s an indoor swimming pool and whirlpool, an on-site fitness center, and a spacious, classy banquet and conference center, well known for its exemplary service and style, suitable for conferences and wedding events.